This Mercedes-Benz X-Class review covers the German premium brand’s first 1.0-tonne pickup truck, which, after much fanfare – including a pair of eye-catching concepts and a production debut hosted in South Africa – is now on sale, with the first examples reaching UK customers in December 2017. 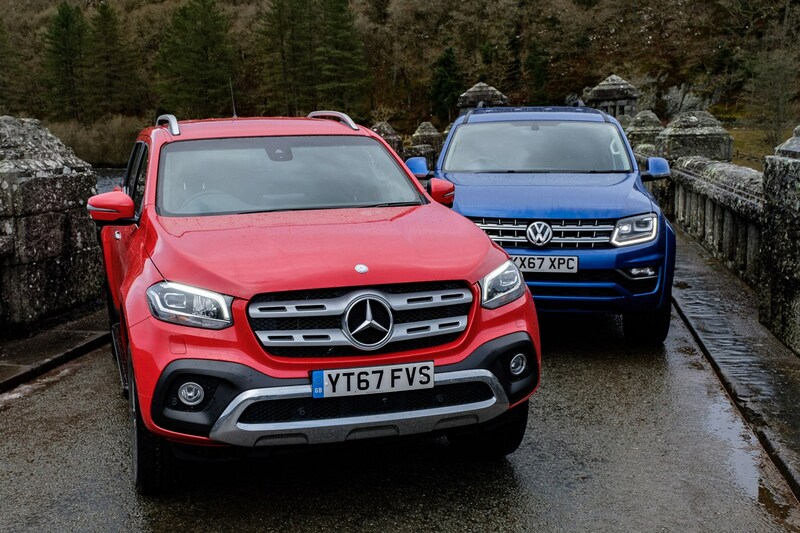 The initial batch of X-Class models, badged X 220 d and X 250 d, all use 2.3-litre four-cylinder engines. But in mid-2018, Mercedes added the X 350 d, which is powered by a 3.0-litre V6. The V6 makes a substantial positive difference to the driving experience and performance of the X-Class, but it certainly doesn't come cheap. Designed and engineered to offer the most premium pickup experience on the market, the X-Class is chiefly targeting lifestyle buyers in the UK, or those operators who need a vehicle that presents a top-level image to clients while still being able to cope with hard work when required. And let’s not beat around bush here: Mercedes has done an excellent job, with one or two provisos. Premium in this instance refers not only to image and design – though the X-Class is certainly very sleek outside and in – but also to the driving experience, which is impressively car-like, with good handling and outstanding refinement (for a pickup), albeit with some of the firmest suspension in the segment. The closest X-Class rival is the VW Amarok, which also has a posh image, an established following and, as of late 2016, an exclusively V6 engine line-up. But most buyers will see the three-pointed star as a significant upgrade to the Volkswagen – popular pickups like the bestselling Ford Ranger and tough Toyota Hilux won’t come anywhere close to matching the X-Class’s aspirational appeal. 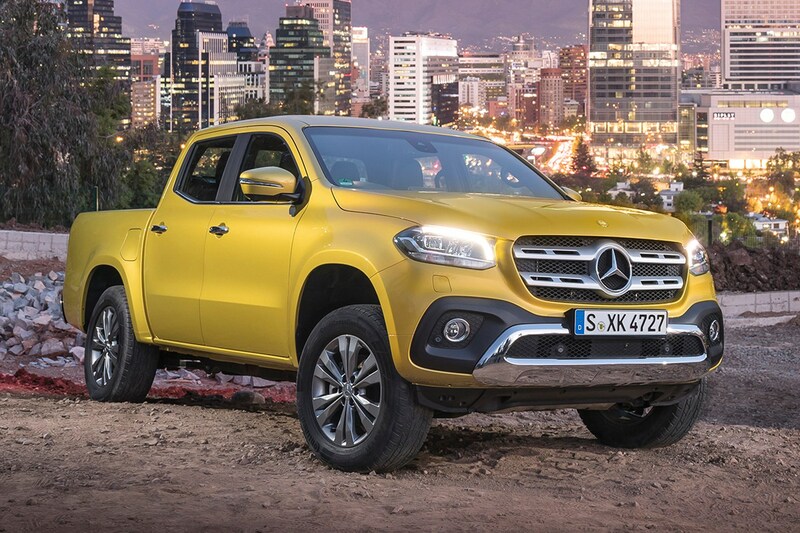 What is the Mercedes X-Class based on? 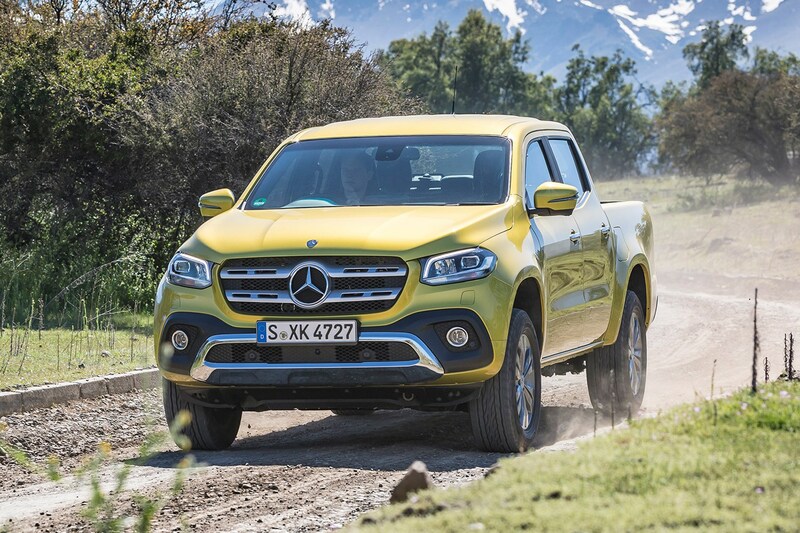 Mercedes has not started from scratch – the X-Class is based on the same platform as the contemporary Navara, and is in fact built by Nissan in its pickup factory in Spain. Given the Navara was awarded Best Pickup in the 2018 Parkers New Car Awards this is hardly a bad thing. However, Mercedes claims to have examined or modified every component in the process of developing the pickup to meet its standards. So while the X-Class may look similar to the Nissan at a glance, a closer examination will show that almost every exterior panel is different. The interior is obviously and almost completely overhauled, and a large number of modifications have been made under the skin. This includes reinforcing the Navara’s traditional ladder-frame chassis, recalibrating the engine and gearbox tuning for the four-cylinder models, and making extensive changes to the suspension. The V6 is exclusively limited to the Mercedes as well. >> What's the difference between the Mercedes X-Class and the Nissan Navara? The X-Class launched with two 2.3-litre four-cylinder diesels – a single-turbo version badged X 220 d with 163hp and 403Nm of torque, and a twin-turbo badged X 250 d with 190hp and 450Nm. These are both Nissan engines, and essentially the same as those used by the Navara. This matches the most powerful 258hp Amarok for nominal power, though the VW still has more torque (580Nm) and an overboost function that takes it up to 272hp for short periods. A six-speed manual gearbox is standard on the X 220 d. The X 250 d and X 350 d come with a seven-speed automatic – also optionally available on the X 220 d. All UK X-Classes come with four-wheel drive. It's worth noting that only the V6 gets an actual Mercedes automatic gearbox and permanent four-wheel system; the other models get theirs from Nissan. 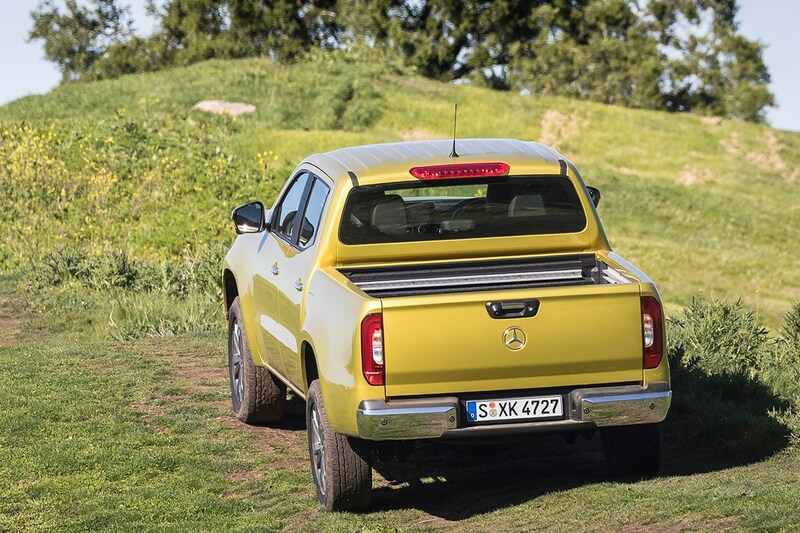 The X-Class is only available as a double cab pickup – meaning four full doors and seating for up to five. It offers reasonable payload ratings in UK specification, and can tow up to 3.5 tonnes, matching the best in class and out-doing the Amarok (which is limited to 3.1 tonnes in the UK). There are currently three standard trim levels to choose from: Pure, Progressive and Power, with the last becoming exclusive to V6 models when that engine joined the range; prior to this you could get an X 250 d Power, but that has now been discontinued from the UK. An X 250 d Edition 1 went on sale in mid-2018 instead; this limited edition commmands an almost ridiculously high price, but does come with huge amounts of standard equipment. We'd still rather have a V6, though. A fourth, ultra-premium AMG specification has been hinted at, but remains officially unconfirmed at this stage. The basic Pure version, which comes with unpainted bumpers and no interior carpet, is predicted to take just 2% of sales on these shores – underlining the X-Class’s lifestyle positioning. 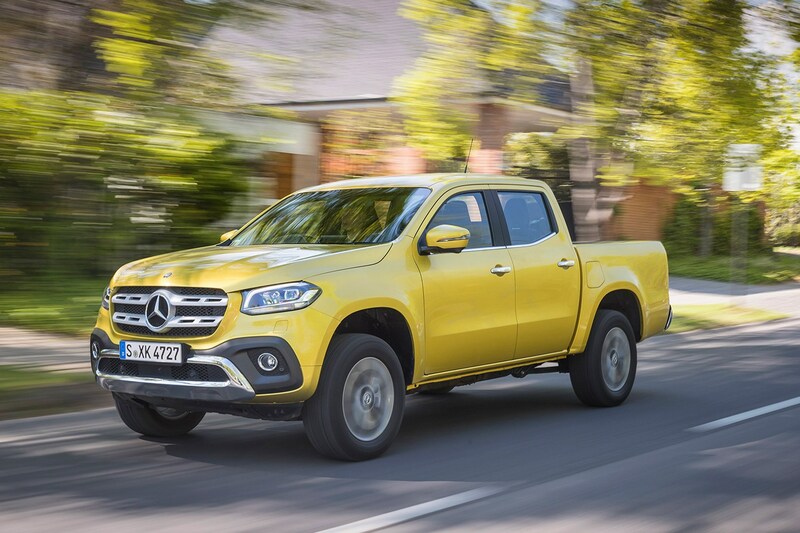 Keep reading for the full Mercedes-Benz X-Class review, which goes into much further detail about this pickup’s strengths and weaknesses – but suffice to say Mercedes is onto a winner. While some will continue to grumble that it’s just a Nissan Navara in fancy dress, Mercedes has done more than enough to ensure that X-Class buyers will be getting a rather different experience, and for the most part a substantially improved one. If we have a major reservation, it's about the ride – which on some examples we've driven is exceptionally firm on British country roads. Though it does calm down on faster A-roads and motorways. Unsurprisingly, the X-Class doesn’t come cheap, especially in V6 guise. But you probably wouldn’t be considering one if you were worried about the cost. The X-Class chassis is fundamentally the same as the Navara’s – meaning it has double-wishbone front suspension combined with an unusually sophisticated (for a pickup) multilink rear suspension design. This features car-like coil springs instead of the old-fashioned leaf springs almost every other pickup uses. Including the VW Amarok. But in its determination to deliver a new class benchmark for on-road driving, Mercedes has retuned every element of the chassis, making changes to the springs, dampers, bushes and the steering. It’s also reinforced the basic ladder-frame structure and widened the vehicle’s track – that’s the distance between the wheels from one side to the other. All of this not only helps to make the X-Class feel more stable and secure in the corners, together with a dramatic reduction in engine and road noise – achieved by installing much more sound-deadening material – it also means you can cover long distances without getting as tired as you would in most pickup rivals. How has Mercedes made the X-Class better to drive? Much of the improved stability and dynamism comes from the suspension being firmer – which together with the widened track helps the X-Class lean less in the corners, making it easier to travel quickly safely. On the motorway the ride comfort remains impressive and controlled. However, it can still get shuddery over bad surfaces, and we have driven some examples in the UK that have felt very hard on B-roads, which could be a problem for some buyers. 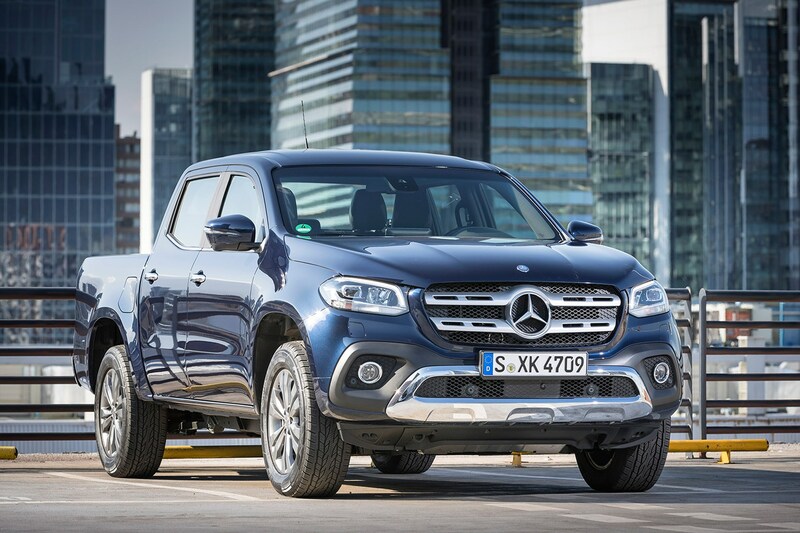 You should certainly take an extended test drive if you’re considering the X-Class as an alternative to a modern SUV. It's exceptionally dynamic for a pickup, but closer to merely passable in regular passenger car terms, and you may find the comfort a disappointment. Compared to the Amarok and the Navara, the X-Class is certainly a sharper steer, but you may find the softer suspension of the VW in particular less painful on your backside. What are the X-Class engines like? When it comes to the 2.3-litre four-cylinder diesels, we've only driven the 190hp X 250 d so far. While this does the job, and in class-leading silence, the X-Class is crying out for greater performance to underline its premium positioning. Fortunately, the 258hp X 350 d V6 more than compensates for this short-fall, as we found out during our intitial review. The V6 X-Class is undoubtedly the one to go for, if you can afford it. And while Mercedes has retuned the Nissan seven-speed automatic gearbox available on the four-cylinder models - making it smoother and a little smarter - it is still rather dithery about its gear selection at times. A Sport mode for some added decisiveness would really help. Again, the V6 model more than compensates for this, with no less than five separate driving modes and a Mercedes 7G-Tronic Plus automatic transmission. The German firm’s engineers have also reworked Nissan's six-speed manual gearbox. This is not available on the X 250 d in the UK but comes as standard on the less powerful 163hp X 220 d.
Changing it from a direct shift to cable operation has completely eradicated the vibration the Navara suffers through its gearlever. You still have to move that lever an awfully long way to change gear, making even a dithery automatic (optional on the less powerful X 220 d as well) infinitely preferable. What’s the X-Class like off-road? All UK models get four-wheel drive as standard. Though all are badged 4Matic, Mercedes' own permanent four-wheel drive system is only fitted on the X 350 d V6; four-cylinder models get the switchable Nissan system from the Navara. The advantage to the proper Mercedes system is that it works in four-wheel drive on the road; the Nissan system is best left in rear-wheel drive on tarmac unless conditions are really very slippery. Regardless, both 4x4 options work as well as you’d expect when going cross country – and the X-Class has reasonable axle articulation for a pickup and hill descent control as standard. Plus there are various off-road friendly options including a locking rear differential and a 20mm suspension lift, if you want them. 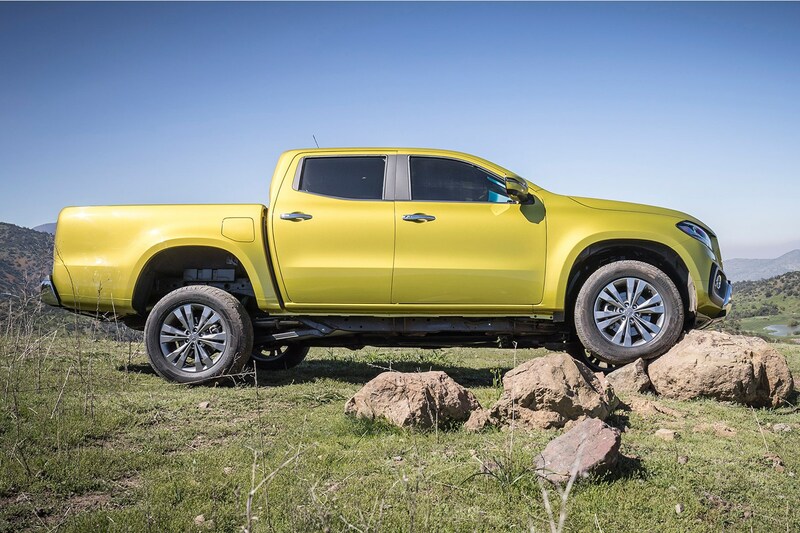 But making the suspension firmer for that enhanced on-road driving behaviour has also resulted in a tough ride when tackling the rough stuff – and as a result there are other pickups better suited to hard off-road graft. Mercedes rather boldly claims that everything you see and touch inside the X-Class is different to the Navara. Which would be fine if the very first thing you’re likely to experience wasn’t a key that is very clearly the same as the Nissan’s, except for the added three-pointed star logo. Best cabin of any pickup? However, putting these minor details aside, overall the X-Class cabin is very impressive. The instrument cluster is borrowed from the C-Class, other elements come from the V-Class, and the design is clean and unfussy, much like the exterior. 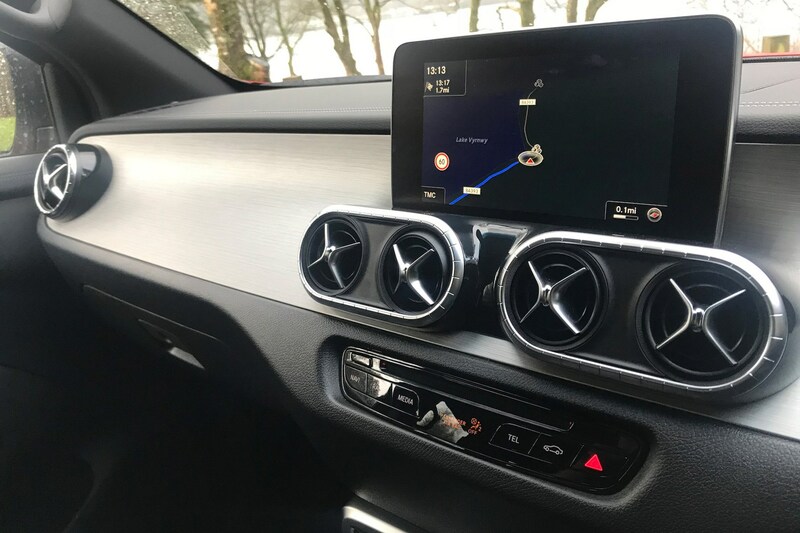 Not everyone will like the stand-alone infotainment screen, but this and the rotary controller on the centre console are Mercedes through and through. Naturally, the infotainment system itself is entirely Mercedes, and very user-friendly with great functionality. X-Class also has what’s claimed to be the widest choice of trim finishes of any pickup – you can even pick two different colours for the headlining. Is the interior quality good enough to justify the X-Class’s price? 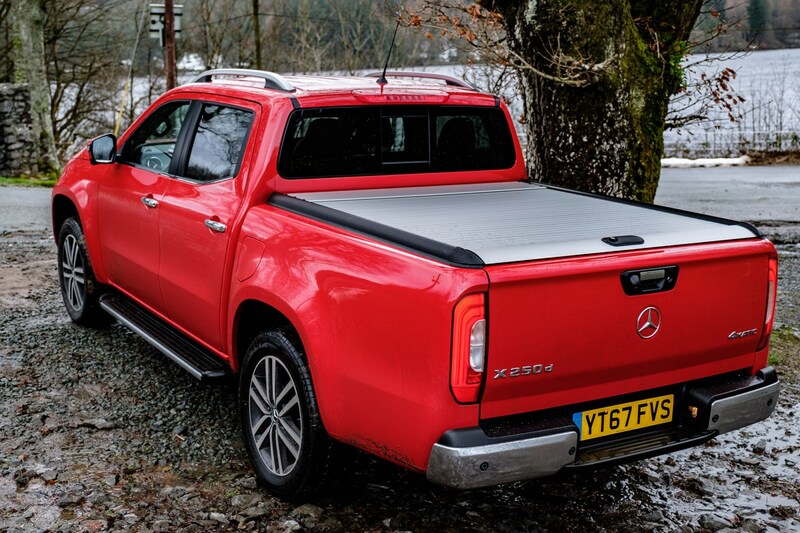 It’s true that there are some hard plastics in the X-Class’s cab – which will lead some to suggest Mercedes hasn’t taken the quality far enough. But we think it’s important to remember this is still a pickup, which means it should also be hardwearing and easy to clean and maintain. What’s more, the quality of the plastics is the same throughout the range, which leaves the entry-level Pure variant looking very posh compared with other working pickup rivals. At the top of the range, the Power trim is available with a leather-topped dashboard with contrast stitching, which certainly didn’t look or feel low-rent. In fact, the level of fundamental fit and finish is outstanding throughout for this type of vehicle. That said, we didn’t find the seats especially comfortable – the mid-spec Progressive appears to be the best of the bunch in this respect – and one legacy of the Navara Mercedes hasn’t been able to fix is the lack of reach adjustment for the steering wheel. So while you can adjust the steering wheel for angle, you may have to do quite a bit of fiddling about with your seat before finding your ideal driving position. For details of standard equipment and individual trim levels, see the Costs section of this review. 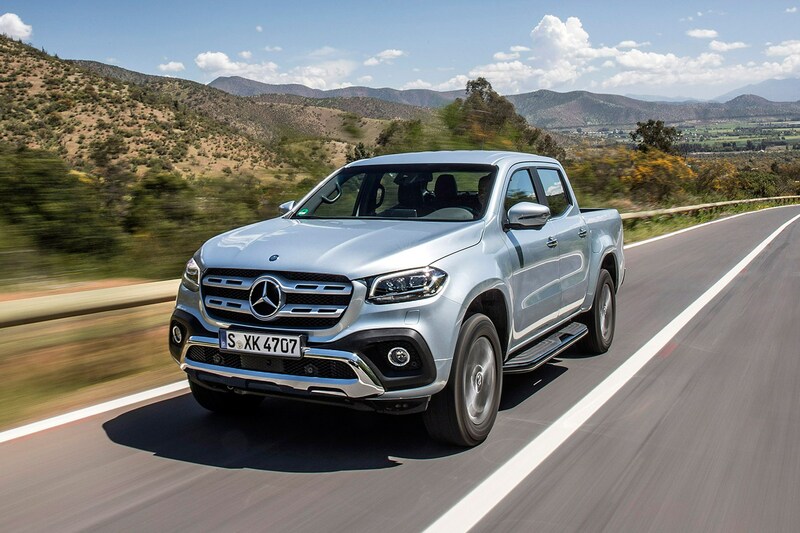 The Mercedes X-Class has some of the best official fuel economy figures in the pickup truck segment, with the X 250 d with four-wheel drive and seven-speed automatic transmission claiming 35.7mpg. A stop-start system is standard. AdBlue is required to meet the latest Euro 6 emissions regulations, so you’ll need to factor in a full tank of that approximately every 5,000 miles. Pricing is on the high side – but you’d probably expect nothing less from Mercedes. Helping to ease the pain of the asking price, the X-Class is reasonably well-equipped as standard across all three trim levels: Pure, Progressive and Power. In addition to the above, a limited edition X 250 d Edition 1 model went on sale in July 2018. This was based on the Power trim level, but added extra standard equipment including 19-iinch alloy wheels, a 360-degree surround view camera system and the winter package. There are seven option packages available, depending on trim level, ranging from styling packs to parking and winter packs. 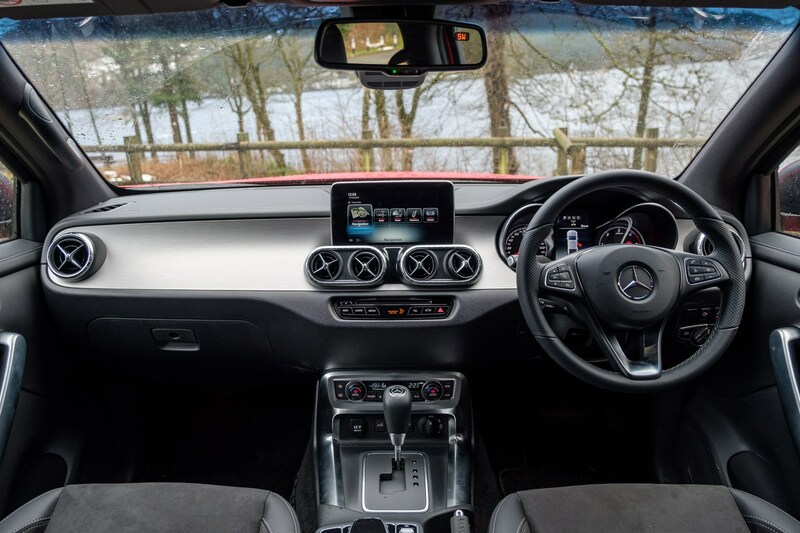 Notable optional extras include Mercedes Comand Online infotainment including sat-nav, rear differential lock for increased off-road grip and raised suspension. There are three standard colours, a choice of metallic hues and some rather fancy interior finishes – including a fetching brown leather affair. 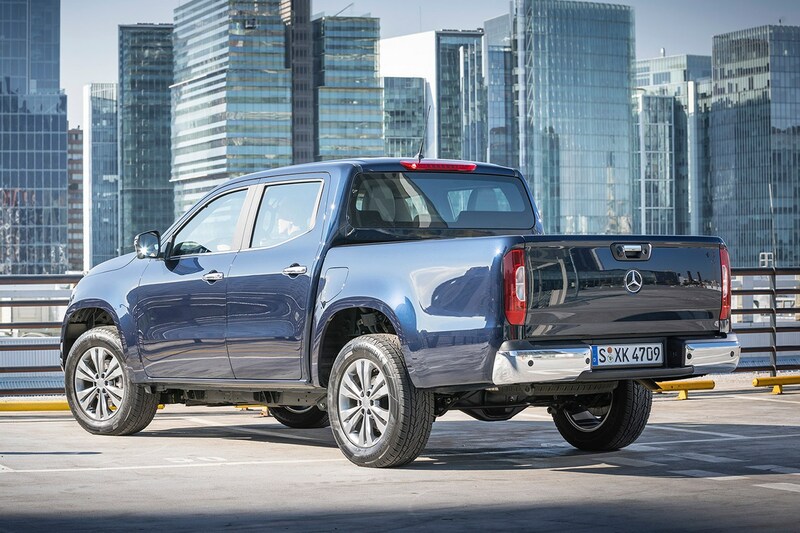 Mercedes has spent a great deal of time and effort re-engineering an existing – and proven – pickup to create the X-Class, so we are not anticipating any major reliability issues. It is very early days at the time of writing, however, and we will update this section should any issues come to light. In keeping with the premium image Mercedes is aiming to project, the X-Class is available with a range of safety and security items that go well beyond the pickup truck norm. In addition, you can also add trailer stabilisation, brighter full-LED headlamps, and a 360-degree surround view camera system. Beyond your typical alarms and immobilisers, Mercedes is offering a few more high-tech security features on the X-Class as part of its Mercedes Me Connect online services capability. 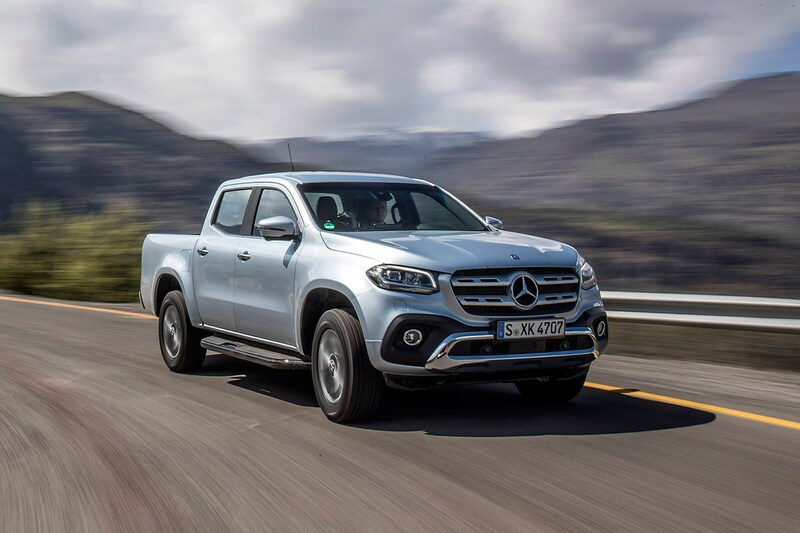 Giving the X-Class the ability to communicate with a smartphone or smartwatch, Me Connect includes accident, breakdown and maintenance management services – relaying your position to the relevant emergency services, or notifying you automatically when a trip to the dealer is due. But it also offers vehicle monitoring services. This means it can help you find the X-Class when it’s parked (we all know what a nightmare forgetting that can be), locate it when it’s moving, and it gives you the option to geofence it as well. Geofencing sends the owner a notification if the X-Class enters or leaves a particular, pre-defined area. This sounds slightly sinister, but may be useful if more than one driver has access to the vehicle. Which Mercedes-Benz X-Class is best for me?